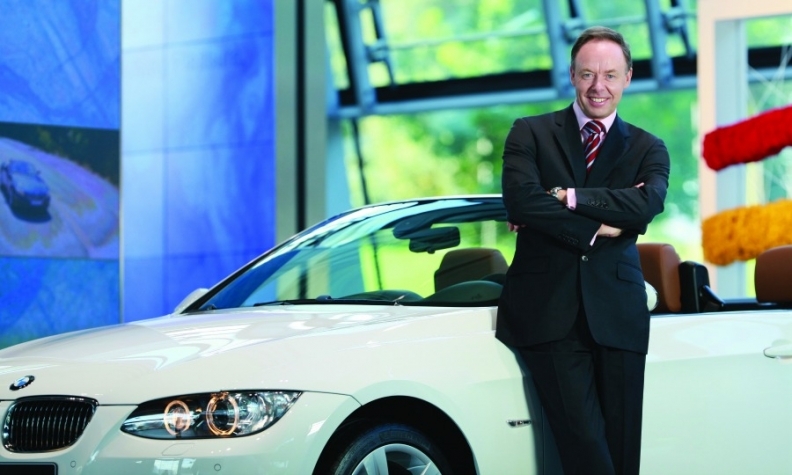 Ian Robertson says BMW aims to make the experience of owning its cars a more comfortable one. BMW will unveil its updated business strategy on March 16 that will look at the needs of premium car buyer as far as 20 years into the future. Ian Robertson, the head of sales and marketing for the BMW brand and responsible for all sales channels across the group, shared his views on how the automaker will further improve its customers' experience. He recently met with Automotive News Europe Correspondent Christiaan Hetzner. How are you adapting your retail network for future challenges? We have rebalanced the mix of salespeople and Product Geniuses and now have over 3,000 [Product Geniuses] operating around the world. Their role is to advise and explain, while salespeople deliver the final deal. One other example is aftersales – most customers just don't want to be involved in aftersales so we are working on various ways to provide the service. Examples are remote uploading of digital maps or collection and delivery of 7-series cars to a customer's home or office. What other changes are you making? Given the customers' desire to buy from stock and drive away, U.S. dealers tend to stock 300 to 400 cars in inventory. Currently it can take several hours from decision to delivery, but we want to cut that down to 45 minutes, which means really reducing all the non-value-added processes within that: financing, pre-delivery inspection -- all that has to get a lot leaner. We need to be asking whether we really need nine signatures on a financial services document any more – quite possibly not. We still have a way to go to achieve 45 minutes, but we're making good steps toward it. What else are you advising your dealers to do to prepare for the future? We're looking at the future needs for extensive real estate, particularly in the metro areas, and at keeping service bays full of loaner cars. In the future, we may use mobile crews to change the oil while the car is parked at the customer's office, because having to queue up at the service bay at 7 a.m. and take someone else's car, or ride with someone else, just isn't premium any more. MAIN CHALLENGE: Intelligently networking BMW's retail operations for the digital age. Brand management will be a key part of BMW's new strategy. Isn’t that a strong point of BMW already? Yes, but the landscape of how you communicate this has dramatically shifted. Gone are the days when you ran a few TV ads that 3 million people may have seen and liked and your brand got a boost. Who were they? No idea. Did they act after watching it? Don't know. That may have been how advertising worked in the past, but today we can be far more effective in targeting individual customers and their specific needs. We have 20 million active customer contacts from service to used cars to financial services products, which are held on a variety of different databases. We're now amalgamating those databases so we can use that connected information to approach customers in a more tailored way. It is not just about selling customers a car but looking at various aspects during someone's driving lifetime and building a two-way customer relationship which is direct and purposeful. Will the customer relationship shift from the dealer to the automaker? The dealer is still very much at the heart of our relationship with the customer. However, we want to steer the system, because we are developing an overview of the entire customer journey. We believe a more integrated approach will help those dealers who are already doing a great job do even better, while focusing the opportunities for others to reach their full potential. We want to take the risk out of poor performance, and I have to say that most of the dealers are on board with this philosophy. We launched a program in the UK last year to completely revamp our entire online environment. Pretty much every single UK dealer is now on the back end of the system, so people can interact with a real person until 10 p.m., every day. Within 10 minutes a customer can place an order for a car 24 hours a day, seven days a week and well over 100 customers have done so in the first weeks of operation. Can Mercedes ruin your centennial anniversary by seizing the premium brand sales crown this year? Success isn't something you can measure by volume alone – a consistent and sustainable performance is also really important. We have been at the top of our business for over 10 years. As a group, with our three brands, we're way ahead of the competition, not to mention the fact that we are committed to continuing to deliver on our promise to the market for an EBIT margin of 8 percent to 10 percent in our car business. That's something we take very seriously indeed. Oslo wants to begin banning private cars from the city center by 2019. If that continues, to whom will you be able to sell cars? There will still be many places in the world where today's ownership cycle remains. But in the major metropolitan areas, mobility 20 years from now will center on autonomous, shared and zero-emissions cars. We will be seeing increasing regulation of that kind and we have to adapt our business model quickly to suit the new paradigms.